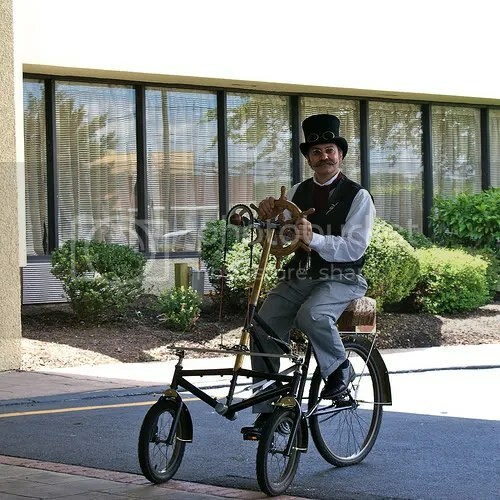 SOMERSET, NJ – Steampunks love complicated machinery, full of whirring cogs, pumping pistons and clicking… clicky things. The thing about complicated machines, however, is that they are prone to malfunctioning at which point the accomplished bodger rolls up his or her sleeves, grabs the toolbox and, with some adjustments, realignments and a the occasional thwack of a hammer get that wonderful contraption back in motion. As one of the largest events of its type anywhere, the 2011 Steampunk World’s Fair, which took place from May 20-22 at the Crowne Plaza hotel, was an extremely complicated machine, and at times it seemed ready to blow a few valves, but somehow through the efforts of staff, vendors and even some good-natured patrons it kept chugging along nicely. Schedules were edited, stages were relocated and vendors were caravanned with the efficiency and good humor that are some of the best characteristics of Steampunk culture. 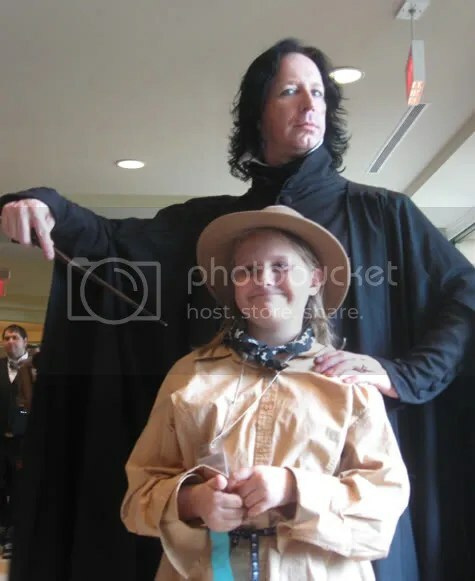 As for my own experience, because I was performing, presenting and organizing some minor events, as well as sightseeing with my ten-year-old daughter, my experience of SPWF was a bit hectic. However, because one couldn’t swing the proverbial cat for all the great music, art, lectures and vendors, I got to enjoy quite a bit of the event simpy by walking down the halls. Music is a big part of SPWF, and in booking performers World’s Fair organizers Oneroi Productions cast a wide net. Wandering from stage to stage one could hear 19th-centry folk music, modern electronica or opera. Even if one were to stand in one spot long enough the inimitable Emperor Norton’s Stationary Marching Band would probably pass by at some point, possibly accompanied by Chap Hop pioneer Professor Elemental. 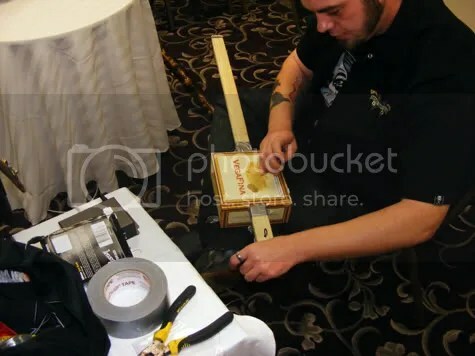 There was even an effort made to fill otherwise unused corners of the hotel with informal acts, who were allowed to play for tips and adulation as members of the Steampunk Buskers’ Guild. Saturday’s exhuberance led to a very tired Sunday morning for a lot of attendees, including Yours Truly, but a handful of us got an early start on the final day of the event with a Tweed Bicycle Ride. Our little gathering included a wide variety of human-powered vehicles, including some modern bicycles, vintage roadsters, a folding bike, children’s bikes and a pair of three-wheelers (one of which was a custom build by the rider). The ride was meant as more of a social occasion than any sort of athletic endeavor, and the terrain surrounding the hotel would have been unfavorable to some of the more heavily modded bikes, so our little group simply rode laps around the large hotel parking lot. As we looped around the Fair begain to wake up, and we found ourselves greeting groggy steampunks with cheeful tipping of hats and ringing of bicycle bells. A good time was apparently had by all, and there is already talk of adding a tea station of some sort for future rides (possibly built into one of the bikes, in proper Steampunk fashion). Testing out the tryke. Image courtesy of Michael Salerno. Matt DeBlass is a freelance journalist, bicycle mechanic and musician from Central New Jersey. He blogs brilliantly but sporadically at “Bicycles, Books and Bow Ties” (mattdeblass.blogspot.com) and performs solo and with the instrumental group Baroque & Hungry.